You are here: Home / How to Travel the World / How to Save Money on Flights with Skyscanner – But Should You? Of all the tools we used for finding bargains in the travel world, Skyscanner was number 1, until the day we found ourselves at the check in desk with non-existent tickets. That update and scam warning is further down the page. Our tips on how to save money still stand and are here for you to use. Skyscanner is a great tool, but beware certain 3rd party ticket vendors. Previously we had saved ourselves £100 per person, £300 total, on our flight to Sri Lanka, just through using the Skyscanner tips we share here. 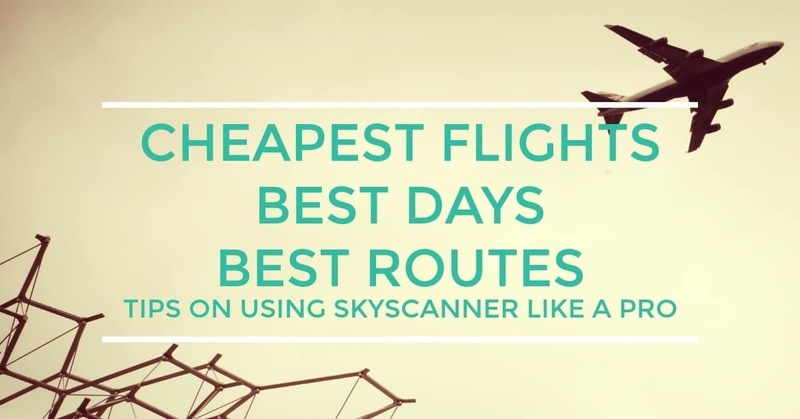 Let’s take a look at how to use Skyscanner to scan flights and find the best bargains. We still prefer Skyscanner to new flight scanner comparison tools, including Kiwi, it also often gives us cheaper prices than going direct to the airlines themselves but that comes with our warning below. Still, read the tips, use these skills and hacks to find the best routs, days and deals, but proceed with caution and find out what happened to us. ( .net is global, .co.uk is uk specific ) will still help you find the best price. Enter your departure airport and destination in the box, enter 2 dates. Start your search and below the search box you’ll see an important next step. In the TO box you enter your destination. BUT there is an extra hack you need to know about here, it’s further down the page. At the top of the page, highlighted in yellow, you’ll see ” show whole month”. You can now see exactly which day will be cheaper and best for you to fly. If, for example, you are long-term travelers looking for a next destination or maybe you want to go somewhere for a weekend but don’t know where, you’ll love Skyscanner’s ” Everywhere” option. Instead of a fixed destination, just select “everywhere” from the drop down list. Skyscanner will now work its magic and bring you a list of possible destinations, cheapest place first. Each price will be the best they have available for that country. This is how we ended up in El Salvador after Florida. We didn’t know where we wanted to go, so we just took the cheapest flight into Central America and from there took buses, we saved ourselves a fortune. will tell you if flight prices have increased or decreased. You can watch and wait for prices to dip for as long as your nerve lasts. 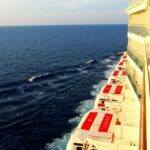 Around 3 months before departure is often the best time to book. This is how we found a real saving on those Sri Lanka flights. The cost was looking too high so we explored alternate routes. First find which routes OUT of your destination are cheapest. Enter your destination as your departure point and select “everywhere” as your destination as mentioned above. Your Skyscanner list will tell you which countries are cheapest to fly TO, it’s a pretty safe bet they’ll also be cheapest to fly FROM. Search again FROM that country and check your incoming flight cost TO that country.A pen and paper helps me out with this part. The sum of a flight to Turkey and the flight from Turkey to Sri Lanka was, in our case £100 less. For the 3 of us that was a saving of £300, $470 US with the added bonus of a few days in Turkey. I think that’s all you need to know to start making big savings on flights. We swore by Skyscanner, it was probably our favourite money-saving tool. If you follow our how to use Skyscanner tips and tricks you’ll save money on travel too. If you need any further help with using Skyscaner, drop me an email and I’ll do my best. This varies. Sometimes Skyscanner has by far the best deals, sometimes booking direct with the airline can give you the best deal. Our best tip is to follow all of the tips on this page to find your best day, price, airline and route and then double-check your price against the airline’s price. Etihad ( check here) have given us better prices than Sykscanner recently, and also Wizz Air, Fly Dubai and Air Asia. Even if you end up booking direct with the airline, Skyscanner can still be a great research tool. We are full-time, professional travellers with many years of flights under our belts. We never thought this could happen to us. We were recently about £3000 out of pocket after booking flights via Skyscanner with a third-party seat booking company, Go To Gate. We turned up at the airport to discover our seats didn’t exist despite ongoing confirmations. We lost our original booking money and were forced to book new tickets, on the spot, at well over double the price. Don’t let this happen to you. Go to Gate wouldn’t refunded a cent, or even communicate with us, and our claim took months to process under consumer protection laws. Eventually, and it was months plus some fraught legal form filling in Kathmandu, our credit card company refunded the full amount. It was around £3,000 . How Go To Gate can hold onto money AND not provide a ticket is totally beyond logic. I’d strongly recommend you avoid Go to Gate, there are many social media channels bearing such titles as ” Go to Gate is a Scam”. Book direct with the airline or just be cautious of who you book with via Skyscanner. We hope you’ve found our tips on using Skyscanner to find the best value flights useful. 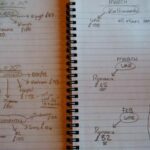 If you’d like more help with planning an extended trip, using flight prices from Skyscanner to determine destination and date, we have a post on planning a big trip. 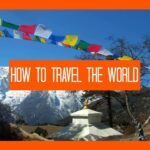 If your ambitions are bigger and you’d like to travel the world as we do, full-time, we have our series on how to travel the world. Want to see our favourite low-cost places to stay in Southeast Asia? See here . Skyscanner do also have a hotel booking page along with their car rental comparison facility ( above). Best of luck with your travels and bargain hunting! I am stunned after checking rates on Skyscanner website…really I never thought that finding cheapest flight tickets is that easy. I’ve also used skyscanner to save money, and I’d also like to say that I found a website called wander – which allows me to search for travel destinations that fits my budget, which is also a great deal of help. this is one of the great post about how to save money on flight scanner. I am totally agree with your great idea. because we are very struggling in saving our money so this article was very effective and helpful to us. thanks for sharing this amazing article. hi there, loved your skyscanner tips as it is a great tool to use. 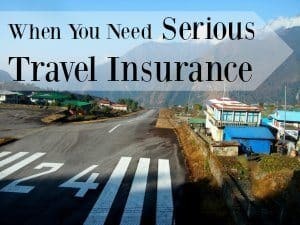 one thing i was wondering that you might be able to help me with is if you book a flight when you are in another country , say nepal, can you still buy the tickets through the uk websites or does it ‘re-direct’ you to a local agency that might not have the same protection as uk laws allow. the reson for this is because i will buy some flights upfront but to stay flexible i will book flights on the move in asia but am worried this will not work abroad. keep up the good work on the blog, very informative. I don’t think there is any ” advantage” in using the UK website. Skyscanner directs you to the airline’s website to book, you don’t actually book through the Skyscanner site. Prices are lower if the internet “sees” you as being in a less affluent country ( ie, it will default to the country of booking/ departure) so you may get an even better deal. I am currently trying to convince my husband to travel for a year 🙂 we have a freehold home and though we could put a small mortgage on it to pay for trip and rent it out. I see you traveled with your children and we would do the same ours are 5yrs and 16yrs both girls….. how do your children get on with schooling? and living in small spaces? At the moment my husband doesn’t think we are that kind of people who could to this! but who are and helpful hints to help me convince him we are that kind of people? Hi Aimee, we’ve been travelling with our children for almost 4 years now and it’s still going great! Living in small scapes, we actually prefer, our old house in Australia was vast, now we feel more connected as a family, nobody can disappear off. But with a 16 year old…I don’t know! My eldest is now 12, we’re about to hit the teens, so far so good, he’s a sweetheart. 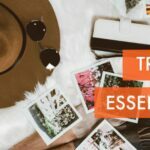 Schooling, well maybe start reading here, homeschooling or worldschooling is actually my speciality, you’ll find a homeschooling and travelling heading at the top of the page, or try this one https://worldtravelfamily.com/ultimate-worldschooling-ideas-tips-destinations-resources/ . Good luck and I can’t recommend taking off round the world with your kids highly enough. Such a great article thanks! Wondered how it worked that all these travel bloggers got cheap deals. Now because of u I know to use whole month/year button and also select “everywhere”. Great tips thanks. Loving your blogs and tips. We family with 2 homeschooled boys travelling part time at the moment. Hi Samantha! Thanks and good luck. If you need any more help get in touch. Hi! I was looking for this post! One question I have, Is the cheapest month option the same as the whole year option? I can’t seem to find whole year. Thank you! thank you thank you thank you soooooooo much! No worries Vidya, hope you find some bargain skyscanner flights! wish i was in the UK so i could give you my commission! wonderful help.i love travel .so it will be great and flexible for me .thanks Alyson……. This is a wonderful app to help a traveler save up for the road. There are just so many options for flights, it’s so overwhelming at times! Notifications are great, no need to constantly just look into the app daily for a wonderful schedule. Thanks for sharing this, it will certainly help make booking flights easier and much more manageable! I have lost many an afternoon playing on Skyscanner and Kayak looking at where I can fly to for what bargain price 🙂 Thanks for the post, I did pick up a couple of tips I wasnt aware of. Me too Amy, I love that “Where can we go?” thing. Bt not on the road, life gets too full of real plans for daydreaming. This is BRILLIANT! I use sky scanner all the time and never knew about this. Saves a fortune and also makes you consider places you might not otherwise! Genius! Any similarly fabulous tips for then finding accommodation? So do you guys take part in any sort of rewards programs or do you fly with different companies each time, depending on which is cheapest? I’m planning our first out of U.S. vacation and not sure where to start! Thanks! We never use rewards systems, we don’t find them any use at all, although we are registered with them all, just in case we are eligible for something, someday. This is awesome. I’ve never heard of it! I love skyscanner. Another good one is kayak. Great way to compare flights. I use Skyscanner frequently, but didn’t know about the “everywhere” option! That’s great!!! Thanks for the tips!! These tips are brilliant – thank you! I have used this before without much luck but I didn’t know the “everywhere” button. I LOVE this option. Of course this is “expensive” as now I want to travel next week:) Thanks for sharing and I will remember to go thru your site. Been playing around with Skyscanner this afternoon, but that’s the bit I was missing: the “exploring alternate routes” methodology. Thanks so much! !